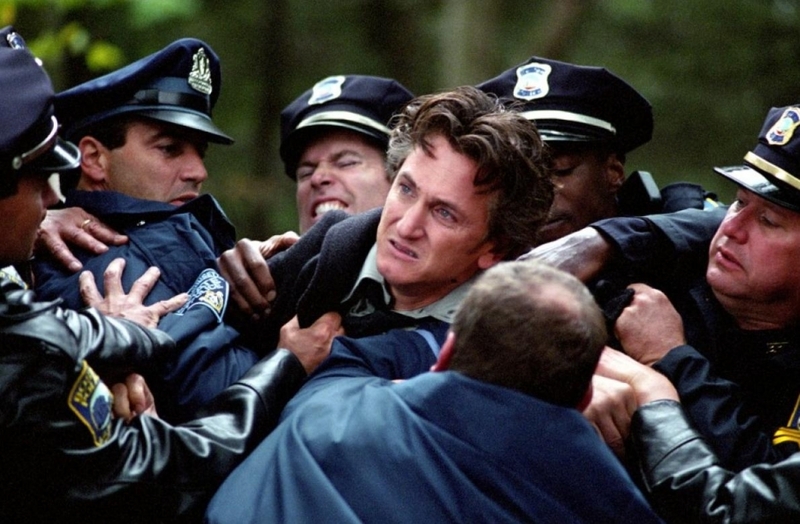 Mystic River is a hard-hitting blue collar crime movie by the amazing Clint Eastwood and the cast is packed with great actors. Released in 2003, it tells the story of three boyhood friends forever changed by an incident in 1975. Jimmy Markum, Sean Devine, and Dave Boyle are writing their names into wet cement in the slums of Boston, when a car pulls up with two men in it. One of the men gets out and implies that he is a cop. He intimidates Dave until the boy gets into the car with them. Of course, they aren’t cops, but pedophiles and they abuse him for four days until he escapes. Twenty-five years later, Jimmy (Sean Penn) is running a convenience store, Dave (Tim Robbins) lives near him, permanently scarred by his experience, and Sean (Kevin Bacon) is a police detective. Jimmy’s 19 year old daughter, Katie (Emmy Rossum) tells him that she is going out with friends and will be home late. While drinking in a local bar, Dave sees Katie getting drunk and dancing on the bar. He doesn’t get home until 3:00 AM and he is covered in blood, his hand hurt. He tells his wife, Celeste (Marcia Gay Harden), that he was accosted by a mugger and that he beat the man to a pulp, maybe killed him. The next morning, a Sunday, Jimmy discovers that Katie has not been home all night and Sean is called to a crime scene that is centered on Katie’s car, parked awkwardly on the street, with the door open and blood on the inside. Katie is found dead in a nearby park, her body marked with lacerations and gunshot wounds. Jimmy and his wife, Annabeth (Laura Linney) are inconsolable and he recruits several shady neighborhood characters to investigate the murder at the same time that Sean and his partner (Laurence Fishburne) are also investigating. While the movie is a murder mystery–and a good one–it goes much deeper than that. Eastwood is concerned with tortured souls, guilt and retribution, and he works the script by Brian Helgeland (based on the novel by Dennis Lehane) for all it is worth. Penn gives a heartfelt performance that won him the Oscar for Best Actor and Robbins is terrific as the tortured Dave Boyle. All of the supporting performances are deep and well nuanced, especially Laura Linney. The Jersey feel is solid, the lighting moody, and music–composed by Eastwood–perfect for the film’s worrisome and tragic plot. I thought the movie was a little long and might have benefited from some judicious cutting, but it never left me feeling bored. Justice is not served and Eastwood makes a point of the fact that things do not add up–it is part of the appeal of the movie. And it is usually a fact of life that most filmmakers do not worry themselves over. For Clint Eastwood, however, the fact that life doesn’t add up is the very point of the movie. If you’re looking for an outstanding drama, I highly recommend the film. Across the Universe is a real accomplishment, for both film and music. Conceived, produced and directed by the eclectic Julie Taymor, this film is a romantic musical that incorporates parts of 34 songs composed by John Lennon and Paul McCartney, George Harrison, and the three of them plus Ringo Starr (“Flying”). Most of the songs are sung on-screen by the characters, though there are some instrumentals. This places the film in the category of old-style musicals where people seem to burst into song as a part of the story. To everyone’s credit, it actually seems to work very well indeed. 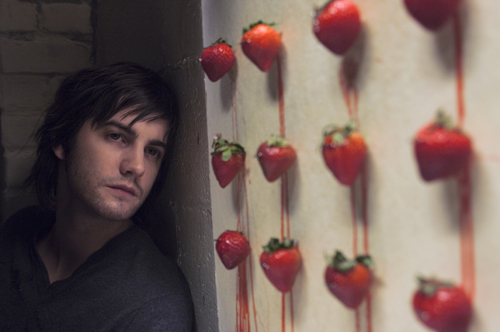 The story concerns Jude (Jim Sturgess), a young dockworker in Liverpool who goes to the United States to look for his American father (who had a fling with his mom during World War II. The very first few frames of film show Jude sitting on a beach singing Lennon and McCartney’s “Girl,” an auspicious beginning because it also tells us that we are not going to be sitting through “copies” of Beatles’ songs. Throughout the entire movie, pretty much every song has been reinterpreted and rearranged which gives them all a brand new and exciting feel. The movie is definitely concerned with the radical changes brought about during the turbulent 1960’s. Jude provides an outside perspective, while his girlfriend, Lucy (Evan Rachel Wood) and her brother, Max (Joe Anderson) provide the viewpoint of America’s youth. Max drops out of college and gets drafted. While waiting for his induction, the three of them go to New York where they become embroiled in the hippie scene. The other major characters are Sadie (Dana Fuchs), Jojo (Martin Luther McCoy), and Prudence (T. V. Carpio). Where Sadie reminds one of Janis Joplin, Jojo reminds us of Jimi Hendrix. An accomplished artist, Julie Taymor brings a sophisticated and stimulating range of graphic beauty to the film, not only in the psychedelic sequences, but in almost every scene. I’ll never forget the way she illustrates “Strawberry Fields Forever” by having Jude pin strawberries to canvas, literally bleeding against the white, while a television shows Max in Vietnam singing with Jude and even superimposed over his face. Another sequence that really carries a punch is Max’s physical in which grotesque sargents stamp out the recruits to “I Want You/She’s So Heavy” with giant troops carrying the Statue of Liberty above them as they stomp on palm trees in Southeast Asia. “Being for the Benefit of Mr. Kite” is full of great images, camera tricks, and bizarre imagery reminiscent of the Beatles own movie Magical Mystery Tour. All of the young actors are superb, giving heartfelt performances and wonderful vocals. The film is also spiked with a special performance of Bono as Dr. Robert and Eddie Izzard as Mr. Kite, as well as great cameos by Salma Hayek and Joe Cocker. It’s one of those films you excuse for running a little long because it’s all worth it. Great music reinterpreted, fine acting, an excellent script, great direction, and unbelievable graphic art. I will definitely see it again and again. 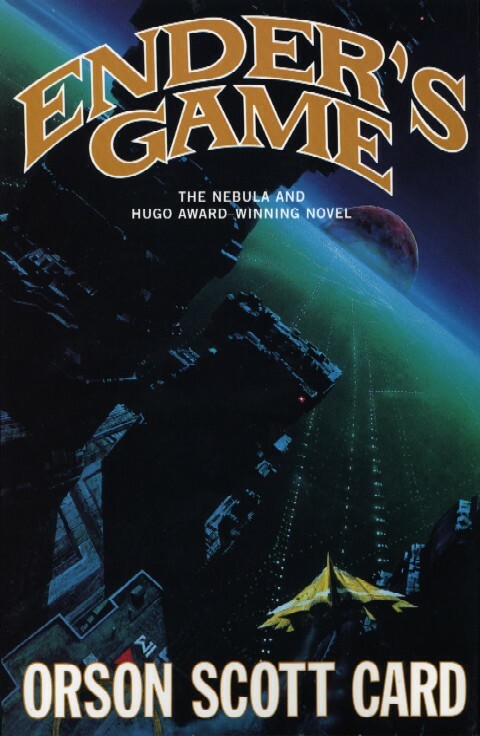 Ender’s Game is a terrific science fiction novel, but it should and does have a much wider appeal. You could put it in a general literature category and it would still be highly ranked. It is the story of a boy in the future who must train to be the commander of a force that will save humanity. After being attacked by aliens (known as buggers) and barely surviving the attack, the military of Earth are planning to prevent a second wave by sending forces to the bugger home world to destroy them. Ender Wiggins is recruited at the age of six and goes through a grueling battle school in orbit of Earth, learning to develop new strategies and techniques to defeat the enemy. The school is set up as a series of games that the initiates play together. They are both brutal and instructive—and Ender prospers, growing from outcast to commander of his own group. What sets him apart is his ability to think outside the box and develop new strategies. It is thoroughly engrossing as Ender moves from one level to another, fighting his psychological programming as he puts together his own army, built on his own unique approach. Larger issues, especially government manipulation of individuals for its specific agenda, are dealt with in stunning detail. A second manipulation takes place as the author maneuvers his readers into rooting for a boy who is manipulated into becoming a mass murderer without even realizing that he is killing billions. Winner of both the Hugo and Nebula Awards for Science Fiction, it raises more questions than it answers, but sometimes that’s what great works of art do—bring you into the conversation, but allow you to find your own answers. If you are looking for a book to really make you think, this would be it. And that, in the end is partly what makes great science fiction. Save the Last Dance is a surprisingly well-thought out film. Although it is primarily concerned with dance, it also deals with some big issues. When high school student Sara Johnson (Julia Stiles), an aspiring ballet dancer, auditions for Julliard, she pushes her mother into ducking out of her busy job to come watch and support her. In her hurry, her mother drives right into a serious freeway accident and is killed. Grief-stricken, Sara gives up ballet, feeling that her mother’s death is all her fault, and moves in with her dad, a jazz trumpeter, in Chicago. Although her new high school isn’t composed completely of African-American students, it seems to be around 95% black. On her first day, she clashes with Derek Reynolds (Sean Patrick Thomas), a very bright boy, in her English class, then she is befriended by Chenille Reynolds (Kerry Washington), Derek’s sister. Chenille is a single mother as well as a high school student, and she and Derek live with their grandmother. Chenille sets of an evening with Sara at Stepps, a local hip-hop club, where Derek and his friend Malakai hang. However, Malakai is into dealing and drugs and puts himself into pretty dangerous situations. While Derek teaches Sara how to dance hip-hop, many of the other black kids at the school begin to resent Sara’s taking one of the most eligible black boys at the school and even Chenille is not supportive in that respect. When Derek talks Sara into doing another audition for Julliard, she begins working seriously toward that goal. The film is immensely entertaining, not only in its exploration of the racial themes, but in its use of music and dance, employing great classical music and lots of wonderful hip-hop songs. We get to see a Joffrey Ballet performance, professional hip-hop dancing, and a mixed program where the two forms are joined together in one dance. All of the hip-hop songs are very well-chosen, including Ice Cube’s “You Can Do It,” one of my favorite hip-hop songs. Stiles and Thomas are both wonderful in their roles and all of the supporting case is excellent, especially Washington. The direction by Thomas Carter is spot-on and the editing and cinematography are first rate. I highly recommend this movie! 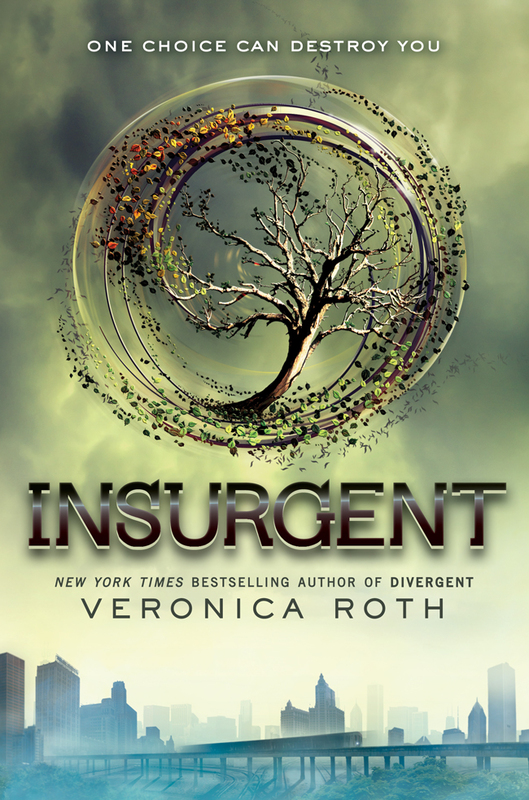 Insurgent, by Veronica Roth, is the second installment of the Divergent Trilogy, which had a very promising beginning with the first novel, Divergent. This second novel, however, has a very rushed feel to it, as if it wasn’t properly thought out. I wouldn’t be at all surprised if Ms. Roth was working under some pressure to get the second novel out. This is a common problem in the industry–and also in recordings and movies. A creator will spend years creating something wonderful, but when it becomes a success, the demand for more is so high that new product gets rushed to the market without the benefit of time and thought, so it fails to meet the standards of the first creation. This, in turn, is usually not good for the creator. In the rush of success, they become sloppy artists and suffer in the long run. Unfortunately, the same is true of for Tris, a character that I loved in the first book. She seems way unduly overcome by the death of her parents. Maybe I’m being cold in this analysis, but all of the traits that she developed throughout the first book would seem to leave her stronger and more able to bear this pain. Instead, she constantly loses control of herself. At times, it seemed like she cried every other page for weeks on end and that really, really wore on me. At some point in the book, it crossed over and actually became funny. I’m sure that was not intended in a saga that takes itself so completely seriously. Part of the problem with the book is that we find the characters doing almost inexplicable things, putting themselves needlessly into dangerous situations. This has become a pet peeve of mine that I think we see all too much today. If a writer can’t really figure out what to do–how to organically develop plot–they simply have their characters do something really stupid. In this novel, it is Tris going to Erudite Headquarters in an attempt to commit suicide by placing herself in harm’s way. Considering as much time as Roth invested in the first novel in making Tris strong, it just seems totally weird that she would do this. She seems to be overwhelmed by having killed Will–and that seems to drive her as much as feeling responsible for her parents’ deaths. At a certain point, between all the whining, the death wish, doing stupid things, I really lost respect for Tris and when that happened, I lost respect for the whole story. With all of these preposterous events, I could not suspend my disbelief. Much as I love the world and the characters that Roth created in Divergent, I must say this was a very disappointing follow-up. 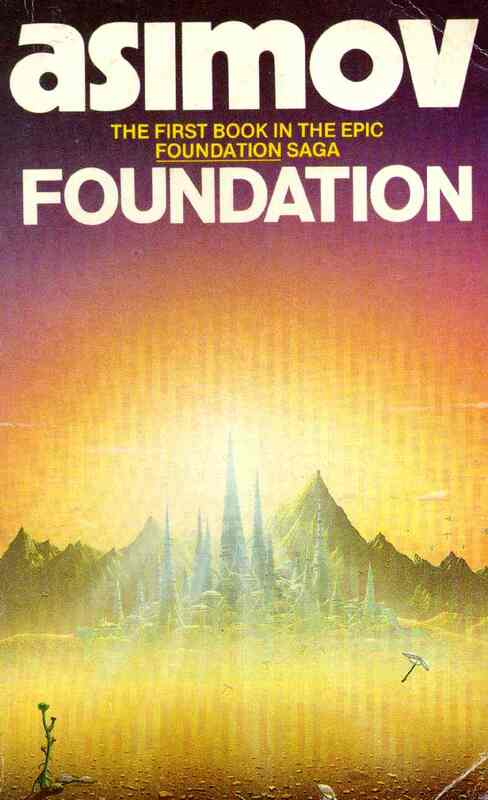 Foundation is the first in a series of novels by the esteemed Science Fiction Grand Master Isaac Asimov. It evolved from a series of short stories first published in Astounding Magazine beginning in 1942, under the direction of John W. Campbell. It reflects the very beginning of Asimov’s career as a writer and has been hailed as the beginning of one of the greatest space operas of all time. Indeed, the Foundation Trilogy was voted the Hugo Award in 1966 for “Best All-Time Series”. The first book written in the series takes place many years in the future when the galaxy has been completely populated by humans due to faster than light speed travel. A Galactic Empire now rules the political spectrum and has ruled with an iron first for 12,000 years. However, much like the Roman Empire, the Galactic Empire has started to fall. A mathematician by the name of Hari Seldon has created a new branch of science called psychohistory which combines statistical analysis with sociopolitical prediction. Seldon predicts the fall of empire and a dark age to last 30,000 years before a new galactic empire arises. Naturally, the Emperor, on the home planet of Trantor, is disturbed by this prediction and arrests Seldon and some of his colleagues. Seldon believes that the length of time of dark ages can be reduced by creating an Encyclopedia Galactica that will allow mankind to pass on the civilization and scientific knowledge to future generations. In order to rid itself of Seldon, the Empire allows him and his followers to create their Foundation on a planet called Terminus circling a sun at the very edge of the galactic rim. We later learn that Seldon actually manipulated the Empire into doing what he wanted them to do all along and that the Encyclopedia was merely a ploy for him to create a political body destined to eventually become the Second Empire. 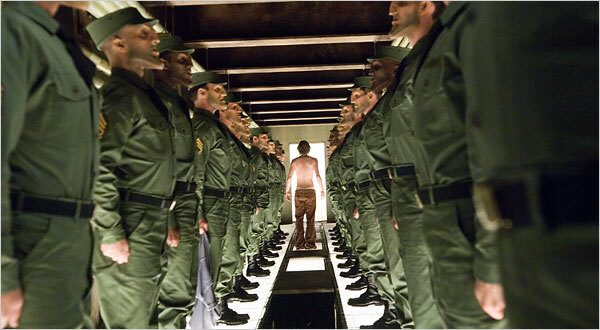 Manipulation itself becomes a major theme in the novel. The book is divided into the following sections: The Psychohistorians, The Encyclopedists, The Mayors, The Traders and The Merchant Princes, following the development of the Foundation through a series of crises. These crises are invariably solved by a shrewd leader who generally uses the folly of their enemies against themselves. And every so often, Hari Seldon himself appears in the form of a hologram to give them hints as to where they are at and where they are going. The book’s story is completely dedicated to political machinations and involves an inordinate amount of dialogue to serve the plot. The characters are sparsely drawn and serve specific functions in the development of the story. The theme of the novel may be found in one of Mayor Salvor Hardin’s favorite slogans, “Violence is the last refuge of the incompetent.” Throughout the novel, one character in each section must overcome the greed and arrogance of a Foundation adversary that is bent on taking over Terminus. In each case, the protagonist is able to manipulate the adversary into failure – and this is usually accomplished despite the wishes of most of the citizens of the Foundation. I see this as a flaw in the novel, in that psychohistory is based upon predicting the reactions of great masses of people over time. By having an individual outsmart the rest of the Foundation, it would seem that Seldon’s predictions are skewed completely by individual actions and that psychohistory is pure bunk. I can’t quite grasp how the actions of masses determine the future, yet one individual’s actions fuel the change. I don’t get that part. The other problem I find with Foundation and with much of Asimov’s writing is his dependence on dialogue to tell a story. 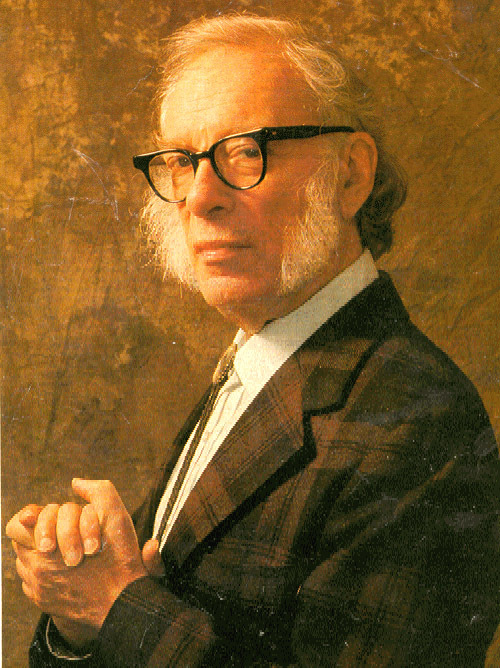 I was taught that a writer must show and never tell a story, yet Asimov’s characters constantly explain and argue back and forth for pages on end, with the only action being one character smoking a cigar or the other standing up and turning around. As a writer, I find this style highly problematic. One of the basic issues with most science fiction writers is failing to see the future in any kind of creative way. Generally, the Masters and those others who have written very far in the past are given a pass because it would have been difficult for them to envision even the technology that we have today, let alone to envision it so many thousands of years in the future. I am inclined to grant that pass most of the time, but I also have some issues with Asimov’s future technology and society in Foundation. I find it hard to believe that 20,000 years in the future people will still be reading newspapers, smoking cigars and watching “book-films”. I find it short-sighted to believe that atomic power would be propelling starships and running cities. Surely, something better would have been developed by then – and must have been. And I can’t really see a future in which leadership structures resemble that of the middle-ages. Even in 1942, even with Hitler and Mussolini, it should have been fairly obvious that mankind just wouldn’t continue with kings and dukes. Perhaps I’m being too harsh, but I see it essentially as a failure of imagination. Ultimately, I don’t find Foundation to be among the very best of science fiction novels. Perhaps it has other, more historical accomplishments to recommend it. But I find the novel to be slow, bogged down in way too much dialogue, shallow in characterization and short on imagination. The Blind Side, written and directed by John Lee Hancock, is a biographical drama that tells the story of how Michael Oher (Quinton Aaron), a rather large African-American, gets adopted into a white family, defeats his educational issues, and goes on to develop into a terrific left tackle on the football field (protecting the quarterback’s blind side, hence the title). Born into a broken family in the projects of Memphis, Tennessee, with a mother who is a drug addict and no father, Oher was taken into child protective services and spent time with a number of foster parents that he always ran away from. At the beginning of the film, he has been sleeping on the couch of a friend’s family. The father, in an attempt to help the boy out, asks Burt Cotton (Ray McKinnon), the coach of the football team at Wingate Christian School, to see if he can get Michael admitted to play on his team. Although academically ineligible, Cotton nonetheless convinces the school to take a chance on him–not because of his abilities as a football player, but simply as the Christian thing to do. When Michael hears the family he is staying with arguing over him, he leaves and takes to the streets, sleeping in a Laundromat. Leigh Anne Tuohy (Sandra Bullock), whose two children attend the school, sees Michael on the street and brings him home to sleep on their sofa. She and her husband, Sean (Tim McGraw) decide to give him a permanent home and to help him in school so that he can improve himself and play football. Sandra Bullock is wonderful as Leigh Anne, giving the best performance of her career, for which she won both the Academy Award and Golden Globe for Best Actress of 2009. She creates a lovely Southern infused accent that’s not too heavy and very believable Tough, yet very loving, she carries the film by herself. Quinton Aaron is very believable as Oher, playing him moody, quiet, and yet growing to trust Tuohy family, becoming very close to their son, SJ (Jae Head) and daughter Collins (Lily Collins). The other actors are all very good, especially Kathy Bates as Miss Sue, a teacher they recruit to tutor Michael. The script is tight, it is very well edited, and the cinematography is excellent. Although the film was nominated for Best Picture of 2009, it did not win. I highly recommend this film to everyone! Divergent, by Veronica Roth, is another in a growing list of YA Dystopian novels (trilogies, to be more specific) written in the first person present voice of a teenage girl. Like the others (Delirium, Hunger Games, etc. this book is set in the fairly near future when the United States has devolved into a ruling society and a bunch of outcasts. In this particular case, there are five factions, Dauntless, Erudite, Abnegation, Amity, and Candor. These names suggest the traits of the groups, intended by these ruling elite to balance each other. 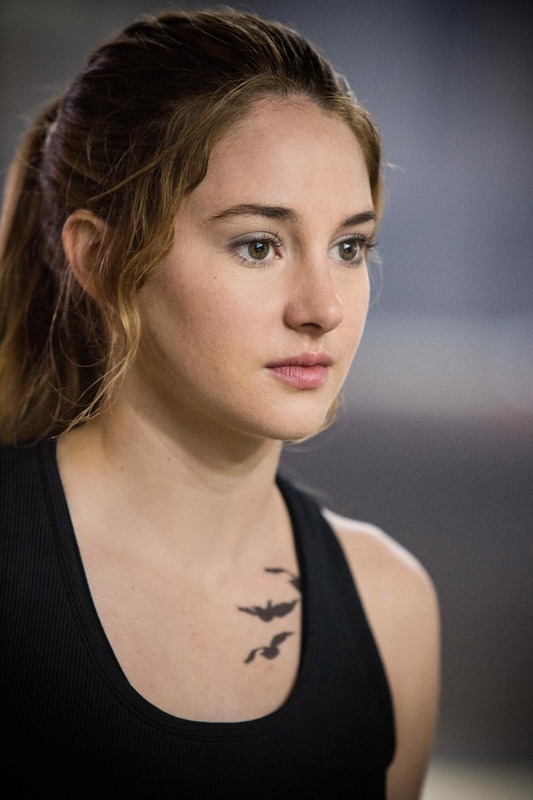 Beatrice Prior, a 16 year old girl, tells the story, beginning shortly before her evaluation. She starts out in Abnegation, but, like all young people graduating high school, she must be evaluated to decide which faction she is best suited for–and then she must choose which faction she will devote her life to. The problem that turns up during her evaluation is that she is suited for more than one faction and this makes her Divergent. In a choice that shocks her family, she chooses Dauntless, the brave faction, known for wearing dark clothing, running around jumping on and off trains, wearing tattoos and lots of piercings. When she arrives, she changes her first name to the shortened version of Beatrice: Tris. The book really moves quick, the characters are well-defined, Tris’s voice is unique and interesting, and even though the future world is a little far-fetched, Roth makes it work. The only thing that really bothered me was that Erudite emerge as the villains and I always wonder at writers to seem to feel that being smart automatically makes you untrustworthy. This is a weird thing that permeates America today: the notion that it is so much better to be dumb than smart. Another thing that bothered me–and it was a minor problem in Delirium as well–is that Tris seems to break down and cry a lot. I’d really like my teenage girl heroines to be a little tougher. It seems a more pronounced problem here, where Dauntless are supposed to be tough as nails. I haven’t finished the trilogy yet, but I currently rank this at #3 in my YA Dystopian First Person Present Girl Heroine trilogies. Anyway, once you get started, you won’t want to put it down. Cheyenne Autumn was the last western film in the great career of director John Ford. Released in 1964, it was the first big Hollywood film to portray Native Americans as human beings, people who were not only more than primitive savages to be killed and driven off their lands by the white man, but people who were victims of the bigoted and corrupt government of the United States of America. For Ford, making such a film was a mea culpa for his entire career of westerns that depicted Native Americans as savages to be killed and driven off their land. Although I certainly approve of its historic context, it is definitely a movie with a lot of flaws. The story concerns the remnants of the Cheyenne tribe who were relocated to Oklahoma from their native Montana. Ford, of course, relocates them to Monument Valley so he can capitalize on the scenery (almost every Ford western was shot in Monument Valley, which is part of the Navajo Nation). By 1878, most of the tribe had been decimated by starvation and small pox, so that the mighty group had been reduced to around 300 people, mostly women and children. Rather than watch the rest of the tribe die, they set off to return home, a trek of over 1,5000 miles, some on horse, but most on foot, and dogged by the U.S. Army most of the way. The story is told from the perspective of Captain Thomas Archer, played mostly with restraint by Richard Widmark. He narrates the story, but Ford keeps his voice-overs spare, only filling what little detail is required for the story. There are times when he–and others in the cast–over-act and you know you’re watching a Hollywood movie. In point of fact, you always know you are watching a Hollywood movie. All of the extras are Navajo and they all speak in their native language rather than Cheyenne. And all of the Indian leaders are played by Anglo or Hispanic actors in make-up. Vying to replace the dying chief are Dull Knife (Gilbert Roland) and Little Wolf (Ricardo Montalban). Off to the side, Red Shirt (Sal Mineo) is attempting to steal Little Wolf’s second wife and generally making a hot-headed nuisance of himself. 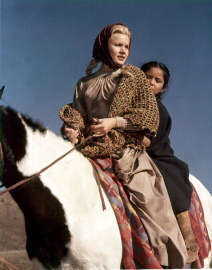 The best performance in the movie is given by Carroll Baker as a Quaker school teacher who joins with the tribe on their journey north so that she can help take care of the children she’s been teaching. Edward G. Robinson is also quite good as the Secretary of the Interior. The worst performance is given by the venerable Karl Malden as Captain Oscar Wessels, a commander who wears his German descent on his sleeve. Commanding Fort Robinson, where some of the Cheyenne have turned themselves in rather than starve along the road, he claims to have respect for the Indians, but at the same time he locks them up in a cabin without food or heat because they will not follow orders from back east to turn around and return their reservation in Oklahoma (Monument Valley). These conflicting emotions in the Captain lead to a great deal of theatrical histrionics that really take away from the film. Epic in proportion, it is nearly three hours in length. There is much that should have been cut before the film was released, but at that point in his career, Ford had a little too much clout. The entire sequence with James Stewart as Wyatt Earp, Arthur Kennedy as Doc Holliday, and John Carradine as Major Blair should have been cut, despite the star power. Stewart looks bored, playing Earp as a half-sotted poker addict. The extremely long scene meanders and does nothing but distract from the movie. Plus, there’s at least another 45 minutes that could have been cut elsewhere to improve the film. On the DVD that I watched, there was also a pretty good special feature. James Stewart narrates a documentary film in which three members of the Cheyenne tribe, presumably in 1964 or 1965, drive along the route of the Cheyenne Trail, retracing the steps of their ancestors in an RV. It gives an interesting perspective on the tribe with nearly a 100 year distance between them and their epic walk. Although the film has historical importance–and sometimes it’s just fun to watch a hammy old Hollywood western–it really isn’t very good. So, if you’re going to watch it, put aside three hours, make a big bowl of popcorn, and understand what’s coming up on the screen. Have fun!